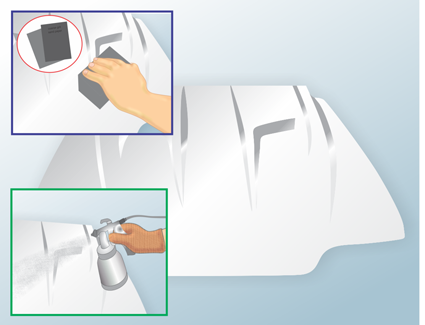 Clean the entire fiberglass component with a wax and grease remover.Using this product is especially important when working with a new fiberglass component, as it is necessary to remove the release agent the substance used to pry the component loose from its mold. 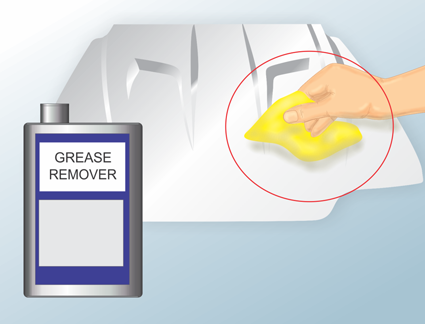 Wax and grease remover can be purchased from automotive parts stores. 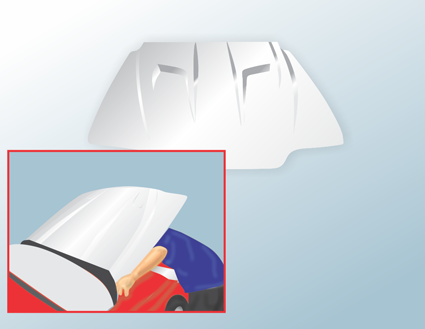 Sand the fiberglass using a coarse-grit sandpaper.For the first sanding pass, use either 120 or 180-grit sandpaper. Mount the sandpaper to a long sanding board for large, flat components. 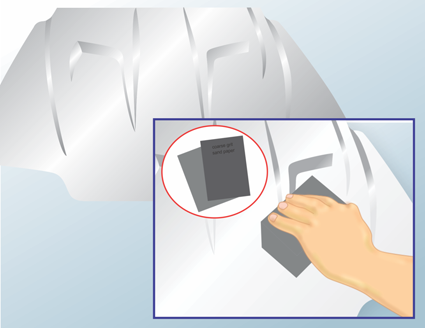 For smaller areas or areas with intricate curves, a rubber sanding block works well to follow the shape of the piece. 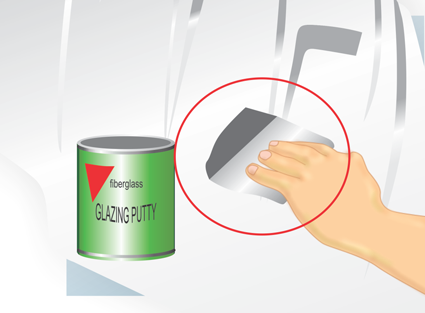 The gelcoat can be used as a guide during the initial sanding. 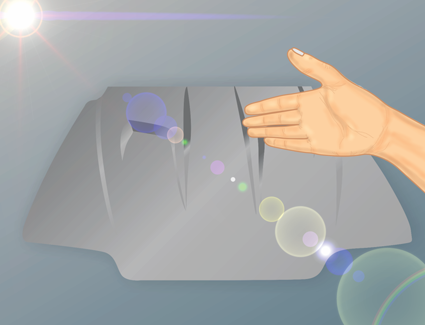 Sanding the gelcoat just enough will make its appearance dull, so when the entire component has lost its shine,you have sanded enough to allow the primer or paint to adhere. 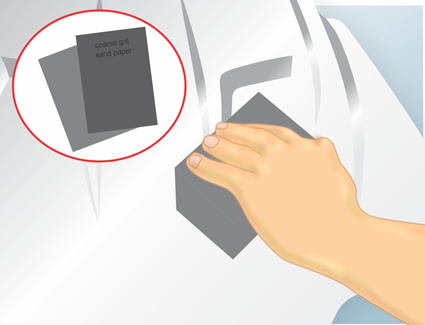 Sand the finish using a fine-grit sandpaper.After the primer is set, sand the entire component again with a finer-grit sandpaper such as 180, 220, and 320-grit. 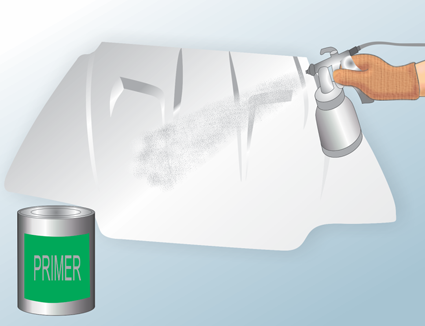 After this sanding, continue to apply primer or paint as desired, sanding between each application with a fine-grit sandpaper.